Your deadline just got moved up. Your artist has never worked with Flash before. Your inner programmer is telling you that no OOP is a big Oops! Any Flash developer can share similar tales of woe. 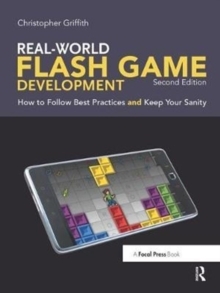 This book breaks down the process of Flash game development into simple, approachable steps. Never heard of a game loop before? No idea what a design pattern is? No problem! Chris Griffith gives you real-world expertise, and real-world code that you can use in your own games. Griffith has been building games in Flash long enough to know what works and what doesn't. He shows you what you need to know to get the job done. 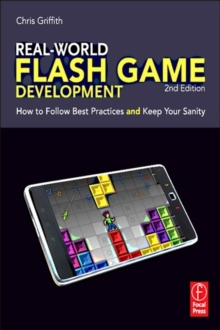 Griffith covers Flash for the everyday developer. The average Flash developer doesn't have luxurious timelines, employers who understand the value of reusability, or the help of an information architect to design a usable experience. This book helps bridge the gap for these coders who may be used to C++, Java, or C# and want to move over to Flash. Griffith covers real-world scenarios pulled from his own experiences developing games for over 10 years in the industry. 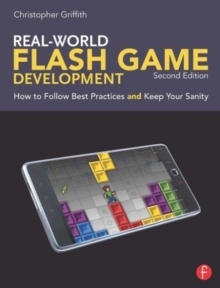 The 2nd edition will include: completely new game examples on more advanced topics like 3D; more robust physics and collision detection; and mobile device coverage with Android platform development for us on phones and tablets. Also coverage of the new features available in Flash CS5, Flash Player 10.1, and AIR 2.0 that can be used for game development. The associated web site for the book: www.flashgamebook.com gets close to 1,000 visits a month. On the site, readers can find all the source code for the examples, news on industry happenings, updates and special offers, and a discussion forum to ask questions and share ideas.